As part of our enrolment and waitlist process we ask that parents or carers firstly view our Centre. Feel free to contact us to discuss a time to visit our Centre. We are happy to discuss how we can help. Should a place not be available for the time you require care, you’re able to complete a waitlist form. We allocate places as per the Australian Government Priority of Access guidelines and in order of waitlist application. Should a place be available for the time you require care we will offer the position. The position is secured once an enrolment form is complete and returned to us. The enrolment form includes information we require to complete enrolment. During your visit to our Centre we will discuss the form and the information required. As part of our enrolment process we hold personalised orientation for families and children. These orientation visits are held as close as possible to your child’s start date allowing them to spent time with us. We discuss some of our policies and procedure while children spend some time with us exploring our Centre and meeting our educators. This is also a good time for us to discuss your needs or concerns ensuring the best start for your child. All families will be sent an electronic information pack at time of enrolment. This contains information about our Centre, policy outlines and information about children starting in care. It’s important that both children and families are familiar with our environment before starting. "Children are like sponges. They absorb all your strength and leave you limp. But give them a squeeze and you get everything back." 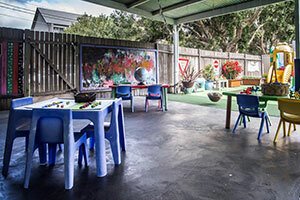 © 2019 Botany Bay Pre-School. All Rights Reserved.